When you bring together five highly experienced, like-minded hospitality and real estate professionals…good things happen. 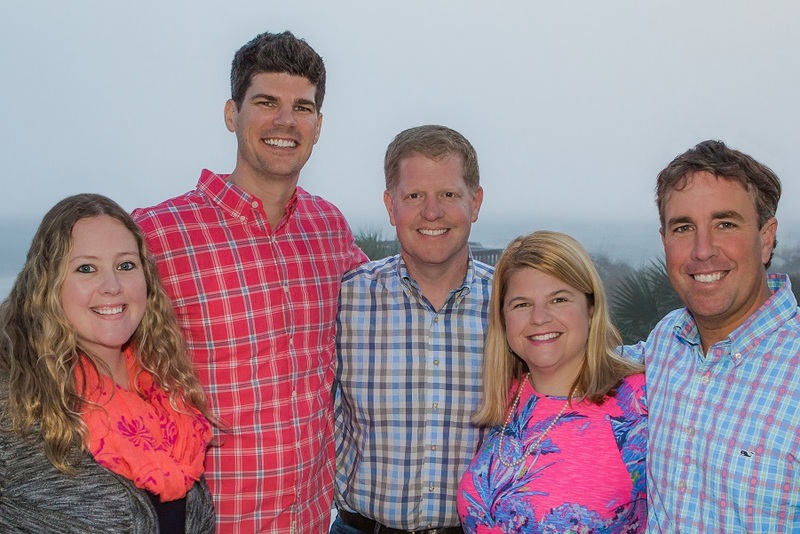 Meet the Coastal Home and Villa executive team. A graduate of Cornell University’s famed Hotel School, Mike’s experience in the hospitality industry is more than a little impressive. His resume includes stints at world renowned properties including The Greenbrier Resort, The Mayflower Hotel in Washington DC, and The Pfister Hotel in Milwaukee, WI. Mike’s passion for unique luxury properties brought him to the Lowcountry more than 13 years ago when he joined the team opening one of the southeast’s premier boutique hotels, The Inn at Palmetto Bluff. That move introduced Mike and his family to Hilton Head Island, and the rest is history. Mike has served on the Town of Hilton Head Island’s Accommodation Tax Advisory Committee for 6 years (3 years as Chairman), and served on board of the Beaufort County Economic Development Corporation for the past year. He and his wife of 17 years, Gillian, along with their two children, two golden retrievers and one cat, share a home on the island as well as a passion for travel, with favorite destinations including Spain, Maui, Tokyo, and the bottom of the Grand Canyon on a raft. There’s a distinctly “family” feel at Coastal Home & Villa, and Gillian is a big part of that. A graduate of Rider University and a Jersey Girl through-and-through, Gillian has a long history working in the hospitality industry, including stints at the Renaissance Westchester Hotel, the Wyndham Milwaukee and Washington, DC’s esteemed Mayflower Hotel - where she met her future husband, Mike. With a strong background in sales and service, and the experience of having raised two children, Gillian brings a highly personal approach to the business and provides a uniquely informed perspective to both our property owners and vacationing guests. Talley is a rarity in the Hilton Head Island travel scene, a tried-and-true local (she moved here when she was 2 months old!) who has called the island home since the 1980s. As such, Talley knows more about this place than almost anyone else you’ll find here. She attended the University of South Carolina – go Gamecocks! She has a strong passion for both the island itself and for helping assure that guests discover everything this coastal paradise has to offer. Talley’s experience in the hospitality industry runs deep. She has worked at every level – from Operations and Guest Services to Owner Relations and Sales. As such, Talley not only knows the ins and outs of the industry, but has a unique gift for exceeding guest expectations. For clients of Coastal Home and Villa, that’s all very good news. Talley loves to travel with her husband Nate, with Caribbean destinations among their favorites. And if you’re looking for Talley in her off hours? Check the local pools. Her collection of fun inflatable floats is legendary, and includes everything from a giant pink flamingo to a unicorn! Born in Fredericksburg, Virginia, Bill is the athlete in the bunch. A graduate of the College of Charleston in nearby Charleston, South Carolina, Bill moved to Hilton Head Island shortly after he graduated to pursue a career in tennis and has been here ever since. And while tennis (and golf and swimming and fishing and…) remains a passion, Bill’s career really took off when he turned his attention to the Real Estate & Vacation Rental business. For more than 15 years, Bill has been connecting guests with their ideal vacation rental, and has a real knack for finding just the right luxury vacation rental home for each and every guest. Bill and his wife Kelli, along with their two dogs (Bogie and Buckley) are frequently seen strolling along Hilton Head Island’s wide, welcoming beaches. The couple also loves to travel, often to Islamorada and even the Caribbean – both nice places to relax and, of course, fish! Look up “property management” in the dictionary, and you’ll find Brandon’s picture. Good looking dude with killer hair and matching owner relations skills. Following his graduation from Miami University in Ohio, Brandon accepted a position to teach tennis at Hilton Head Island's highly-regarded Van Deer Meer Tennis Center. The plan was to instruct for 6 months and then head back to his native Cincinnati. 7 years later, Brandon finally traded in serving tennis balls for serving clients and started his career in property management here on Hilton Head. That was in 2011. Today, ask anyone in the Hilton Head Island real estate/vacation rental world to name one of the island’s top property managers and chances are they’ll start with Brandon. “Squig” (a nickname his dad gave him as a kid and uses to this day) is one of those guys who understands what the word “service” means, and strives every day to raise that bar on behalf of Coastal Home and Villa property owners. He oversees our entire Owner Relations program, where his genuine interest in our homeowners’ well-being and hands-on approach to caring for their properties makes him an invaluable member of our team – and a key reason we’re quickly becoming the island’s premier luxury boutique vacation rental company. When he isn’t walking properties, welcoming guests or brainstorming ways to improve a property’s performance, you can find Brandon at the gym. He loves working out almost as much as he loves working with our clients. He also enjoys getting out on the water when he can. And when he says “when I can” – he means when a friend with a boat asks him to join.